The University Women’s Club of Toronto holds its meetings and events at The Faculty Club, a beautiful heritage building situated on the campus of the University of Toronto. 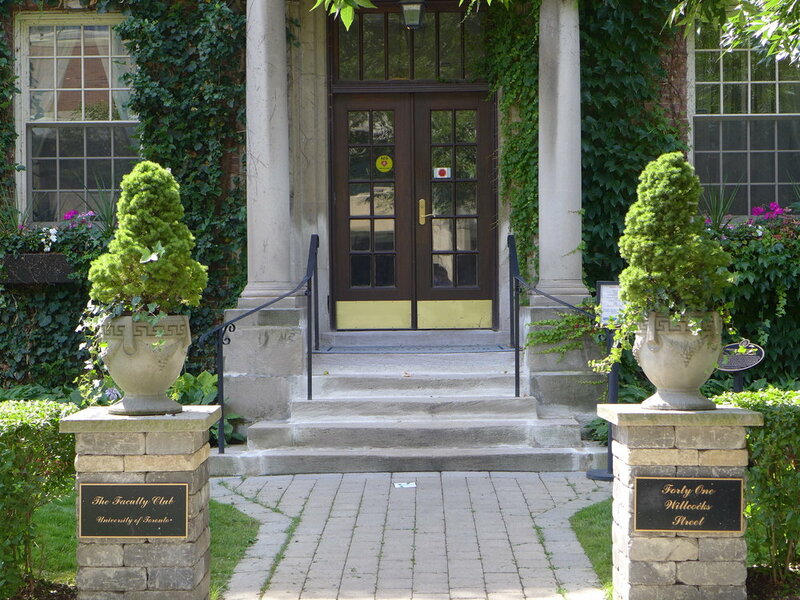 The Faculty Club is a private club for faculty, staff, alumni and grad students of U of T, members of the University Women’s Club of Toronto, and other community organizations. University Women’s Club of Toronto members must also become members of The Faculty Club, providing the benefits of two esteemed clubs. 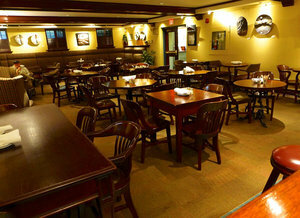 The Faculty Club provides an elegant venue for the UWC’s social events, meetings, speaker series and more. The Faculty Club is located at 41 Willcocks Street. 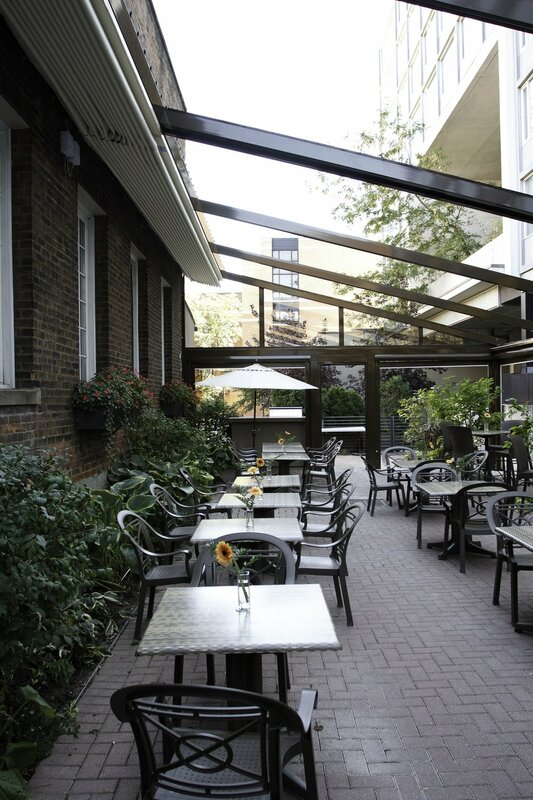 The Faculty Club organizes its own special events for all members (wine tastings, speakers, etc), and has a membership privileges program offering discounts to cultural events and services in and around Toronto, as well as reciprocal privileges with Faculty Clubs around the world. 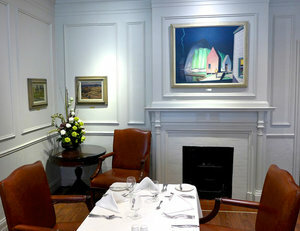 The Faculty Club has a variety of rooms for meetings and receptions. In 2013, the University Women’s Club donated $50,000 towards renovations of The Faculty Club patio. 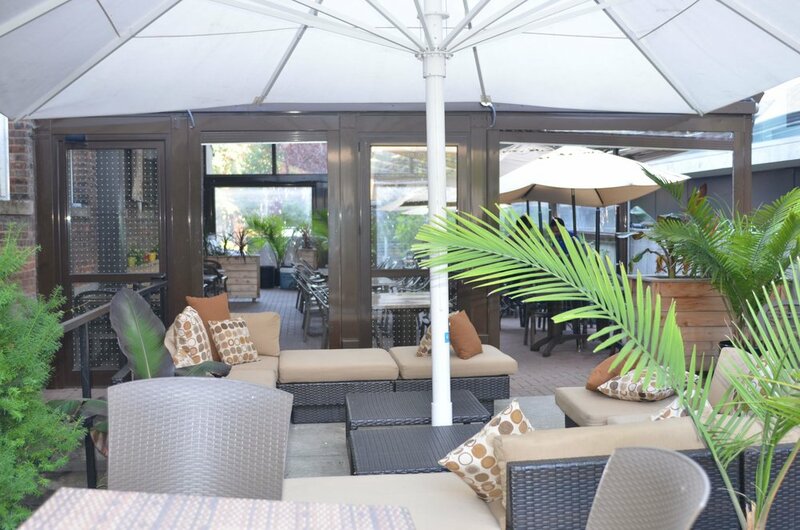 We are pleased and proud that we were able to contribute to this fabulous patio, allowing all Faculty Club members to enjoy this three-season space. The University Women’s Club’s records are framed and mounted on the hallway wall leading to the Foulds Dining Room in The Faculty Club.. The past presidents’ plaque, CFUW awards, and Heritage Fund documents are beautifully exhibited. We have a story that dates back more than 100 years. Our story needs to be told. 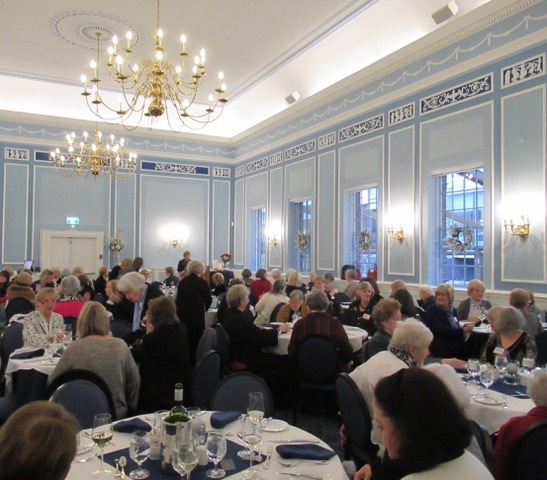 The public display of our significant certificates affords the University Women’s Club a presence within the Faculty Club and allows us the opportunity to share our long and illustrious history with others.